Check out our latest, lowest rate plans for your area. Pay your bill, renew your service and more – all online! From zero to 1.4 million Customers in six years? Yes! 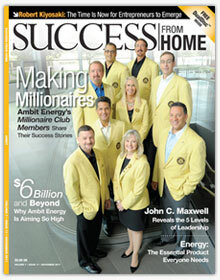 In less than a decade, more than 250,000 entrepreneurs have embraced the Ambit Opportunity. These men and women have started down the road to becoming Ambit Energy Independent Consultants. The benefits are clear and the business plan is simple: Everyone uses energy. All you have to do is offer potential Customers Ambit’s award-winning service, competitive rates and the potential to earn Free Energy. Then, you can introduce like-minded individuals to the Ambit Opportunity, and help them change their lives by becoming Consultants. 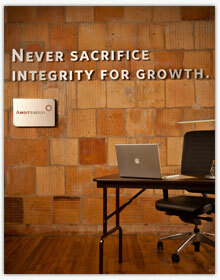 As your team of Consultants grows, the rewards – personally, professionally and financially – can be abundant. 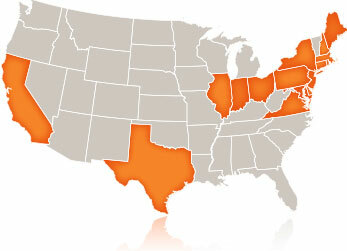 To see if Ambit offers service in your area, click one of the links above. Not in your area yet? Check back soon because we’re growing quickly and adding new markets throughout the year. Everyone likes Free Energy. That’s why everyone likes Ambit Energy’s Free Energy program. 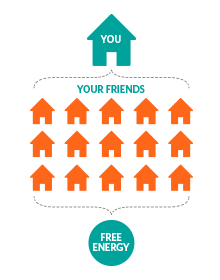 Just refer friends and family to the award-winning service and competitive rates of Ambit, and you can reduce or even eliminate the supply portion of your monthly energy bill. It’s that simple!